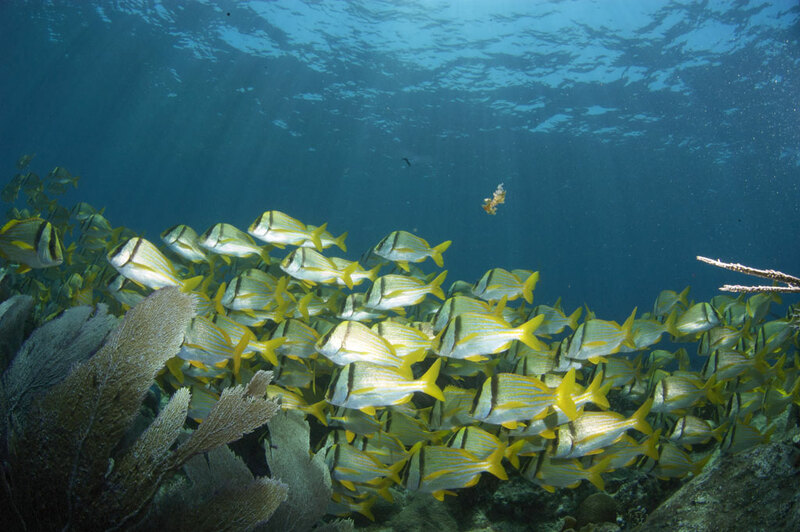 Alacranes is a protected area, is the biggest coral reef in the Gulf of Mexico and is located at 68 miles from Puerto Progreso. It’s composed from 5 littles islands where different species of bird like to nest. We can find 34 types of corals, more than 100 of fishes but also turtles, mollusks, marine mammals. We can also dive on shipwrecks. The whole biodiversity is created by the position of the archipelago and because of the nutriments brought by the currents. 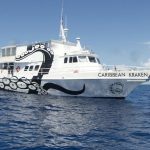 The beauty of the place made by the white sandy bottoms, the crystal water and the enormous natural resources, give us the feelings to dive into a pristine unexplored reef. Picos del Norte is a series of seamounts 60 miles offshore, north of Cancun. Big pelagic gather here along with giant mantas that use the pinnacles as cleaning stations. Granelero: Ship wreck that used to be a towing vessel, is located at 35 meters depth in a sandy area and the deck is at 25 meters. Los Picos: It’s a wall that goes to 60 meters and the top of the reef is between 20 and 3o meters. 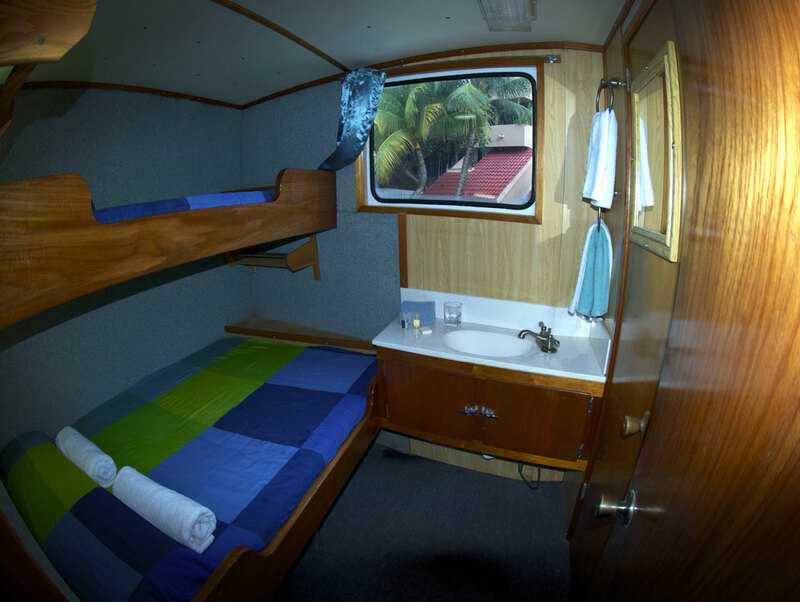 El Chalan 1: It’s with a sandy bottom where you can find a wreck of a barge located between 15 and 30 meters. El Chalan 2: It’s a wreck that used to be a wood fishing boat and is still well preserved. It’s located between 12 and 20 meters. It’s a site with moderate to strong current. diner at 8.30 pm, navigation in the early morning to reach Alacranes. 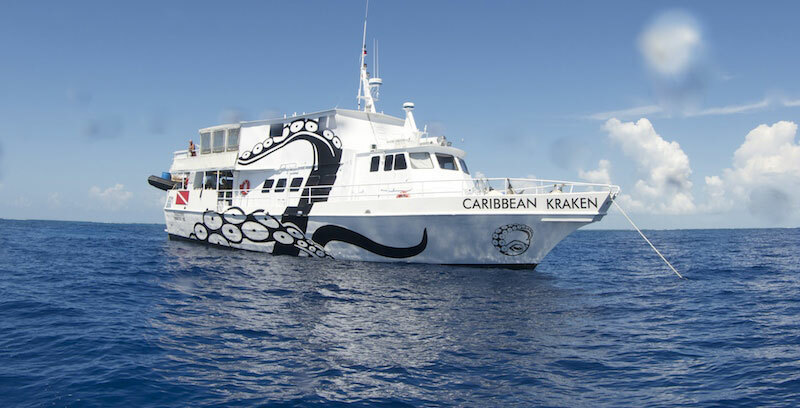 5th to the 12th of September 2018 - 8 DAYS/ 7 NIGHTS – Scorpion Reef - Los Picos - Liveaboard - 24 Dives - For certified divers AOWD or OWD with more than 30 dives logged - Max. Boat Capacity: 18 divers.